The Norfolk Terrier, though rare in the U.S. is an active, outgoing companion that can also be a hardworking, fearless hunter. At only 12 pounds, this is a little dog has a big personality. Calling him tenacious and independent may be an understatement, but he also exudes charm and affection to his owners. It is hard to resist this little breed's dark eyes and scruffy wiry coat but you need to know that this is one breed that is terrier in and out. There isn't a boring day when you own a Norfolk Terrier. 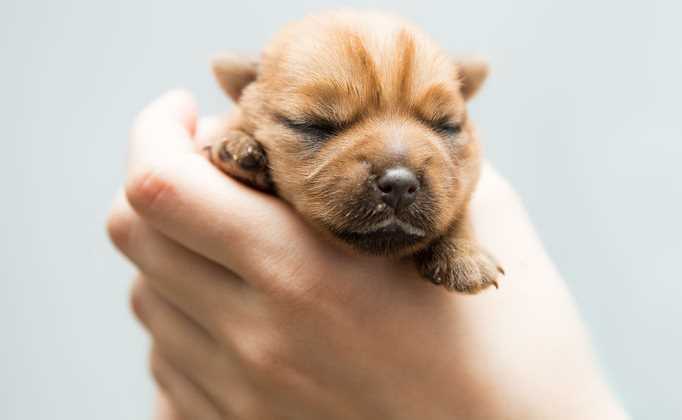 But there is another breed that looks almost identical to the Norfolk Terrier and in fact both breeds were called the same, Norwich Terriers. 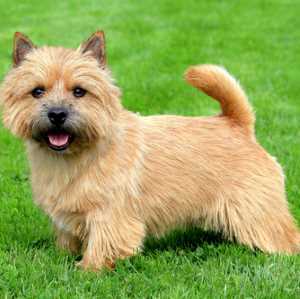 The Kennel Club in England called them Norwich Terriers in 1932, because they were considered to be the same breed. Today they are separate breeds and the easiest way to tell them apart is by their ears. The Norfolk has folded down ears and the Norwich holds their ears upright. Many of today's terriers were developed within a specific geographic area most notably, the British Isles to rid homes, barns, and places of business of vermin. 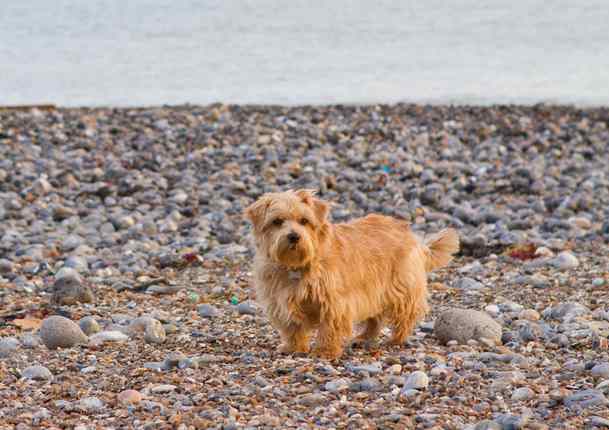 The Norwich Terrier originated in England's East Anglia in the 1880s and then were crossed with other types of terriers including the Yorkshire and Irish terriers. At the time they were known by other names including "Trumpington," "Jones," and "Cantab" terrier. These dogs were excellent hunters of vermin, but could also catch larger prey including foxes or dig out badgers. By the 1930s, a breed standard was written placing both the prick eared (Norwich) and the drop eared (Nofolk) in the same breed. The prick eared Norwich terriers were more prevelent and by World War II, the Norfolk members of the breed were nearly wiped out. The breeds survival can be traced back to Miss Macfie, who worked to restore the breeds numbers. In 1964, the Kennel Club in England separated the two varieties, making each a separate breed. The AKC followed suite in 1979. The Norfolk is terrier through and through. He's lively, alert and always ready for a good game of fetch or any other game you can concock. Always on the go, you'll find this breed is curious and independent, yet devoted to his family. 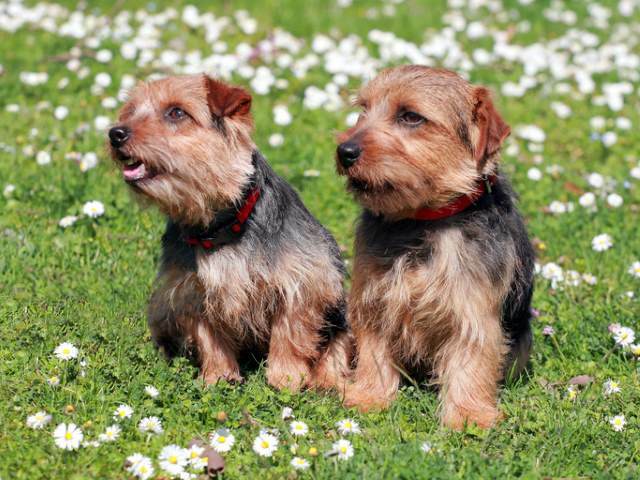 As most terriers, this breed is good natured and happy most of the time. Dog breeds developed to hunt vermin are ones that are quick to the chase, like to dig, and bark. You'll find the Norfolk terrier to be true to his nature. Digging, Barking, Chasing, three typical behaviors that come naturally to this breed can also be more than some people can handle, especially first time dog owners who aren't familiar with typical terrier traits. As terriers go, they are not the yappiest breed, and digging is usually only a problem if bored. They do make good watch dogs, so barking is usually purposeful. His playful tendencies and good natured temperament make them an excellent choice for active families with children. For the most part, these dogs do great with children and also get along fine with other dogs. If raised together, they will be fine with cats, but smaller pets may be a problem. They have a very strong prey drive and may mistaken small pets such as mice, gerbils or hamsters for prey. The Norfolk require sufficient exercise, both physically and mentally to keep them from getting bored. A daily walk is important as is play sessions to work off their excess energy. Since they have a strong prey drive, they may be inclined to take off after something interesting such as a chipmunk or squirrel. A securely fenced in yard is ideal, but without it, you should plan on keeping your dog on a leash when outdoors. Norfolk terriers can do well in apartments provided they get sufficient exercise. They make a great choice for individuals, couples, families with children, and active seniors. They are a very smart breed but due to their independent nature, housebreaking may be difficult. They also have a stubborn streak which may come out during training sessions. Training basic skills is very doable and will proceed faster with a positive approach that includes treats, playtime, and praise. They are generally friendly around people they don't know, but may show signs of being a bit reserved. It doesn't take long for them to warm up to strangers, though. Stripping is done about twice a year and consists of pulling out dead hair with a stripping knife so new hair can grow in. It is a time consuming process and can be very expensive if done by a professional groomer. For the average pet owner, stripping may be out of the question and they may opt for their Norfolk's hair to be clipped. Between stripping or clipping the coat, brushing and combing the coat about once per week is sufficient to remove dead hairs and keep the coat looking great. A slicker brush and metal greyhound comb works best. Bathing when the dog is dirty is a good idea, but frequent bathing is not necessary. Dogs will also need to have their nails clipped regularly and their teeth brushed as often as is feasible. Ears should be checked periodically and cleaned with a good ear cleaner and cotton ball. 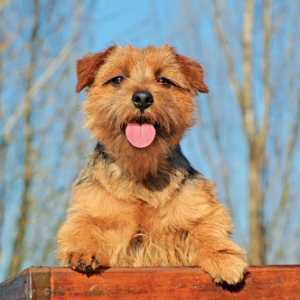 The Norfolk Terrier is generally a healthy breed but like other dogs, is prone to some problems that have a genetic origin. Hip Dysplasia is a common canine problem that has been identified in many dog breeds, large and small, alike. The condition occurs because the femur (thigh bone) does not fit properly into the socket of the hip. 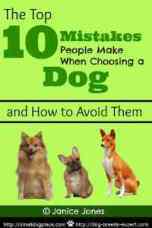 Mild cases can exist where the dog does not show any symptoms. Pain and limping occur as the dog ages and the problem progresses. Surgery is an option, but very expensive. Reputable breeders will scan their breeding dogs and not use those that may have the problem. An x-ray can detect the problem and then sent to the Orthopedic Foundation for Animals (OFA) or the University of Pennsylvania Hip Improvement Program. Patellar luxation involves the kneecap and is very common in many small breed dogs. Luxation just means that dislocation, so Patellar Luxation occurs when the kneecap slides in and out of place. 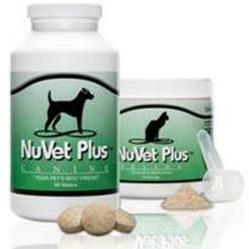 This causes pain and limping, but many dogs only notice the problem when the knee joint slips. Mitral valve disease (MVD) involves the mitral valve of the heart and is life threatening. When the heart beats and pumps blood through the mitral valve, it does not close properly, sending blood backwards into the left atrium of the heart. Symptoms include shortness of breath, coughing, fluid accumulation in the lungs leading to congestive heart failure. Reputable Norfolk Terrier breeders are working hard to reduce if not eradicate this problem in the breed and will screen breeding dogs before using them for breeding purposes.